A man, Mr. Augustine Orji, from Amaokpara in Nkwerre LGA of Imo state was last Tuesday October 17, 2017, arrested by men of the Imo state CID of the Police Command who invaded his Port Harcourt home, in a Gestapo and commando manner whisked him away and dumped him in the cell for over two days. He was later granted bail at the intervention of good spirited individual late on Thursday October 19, 2017 on condition that he reports back to the police, on Tuesday 24th October, 2017. A family member who spoke to Community Watchdog Newspaper, under condition of anonymity gave the reason for the man’s arrest and detention, as, “land dispute within his Amaokpara community”. It was therefore surprising that rather than effect the arrest and prosecution at the Nkwerre Divisional Police Station, under which jurisdiction the case is, those who felt they have connections with some unruly police officers and hierarchy dragged the case to Owerri State CID. 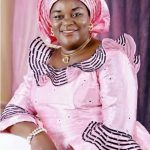 The matter took a dramatic turn on Tuesday, October 24, 2017 when the said Mr. Augustine Orji reported back to the police only to be ordered back to cell on the directives of an unidentified Assistant Police Commissioner (AC) suspected to have a vested interest on the matter and working for a certain Ugoeze and wife of a self effacing traditional ruler whose identity was not immediately confirmed at press time. Though, it was the expectation that at worst, the accused would be dragged to court, after interrogation. It turned out that the police, on the instruction of the Ugoeze, had threatened the man with severe punishment in the event that he refused to refund the total cost of selling the piece of land. The son of the man who was very much worried with the continued detention of his father when approached at the state CID, reported that the police was forcing his father, to refund the cost of a land he sold to another person that is not even related to the relentless and restless Ugoeze. The said land in dispute, he disclosed, was bought by his father in 1996, secured its Certificate of Occupancy (CofO) long before selling it to another buyer in 2005. Rather than develop the piece of land, the second buyer sold half of it and left the other half intact. This probably attracted the envy of some highly placed members of the community who started showing interest on the land and embarked on clandestine moves to deposes him of the land. Their efforts however was fruitless when the initial buyer brandished his cost. 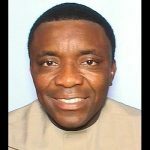 But the man’s son who expressed shock over the manner his father was arrested and detained for days without bail or trial, explained that his father cannot understand why he is being accused of selling a community land he legitimately acquired and which Certificate of Occupancy is intact. He wondered the special interest of the Ugoeze and the police since there have been no dispute or contest over the ownership of the land since 1996 when he bought it and 2005 when his father sold it to another buyer. The man and his son also doubt the speculated claims of the meddle some Ugoeze, that she has the mandate of the new buyer to recover the cost of selling the land. When our reporter confronted the police, they admitted that they were instructed not to allow anyone to visit the accused, including members of his family. Worst still, he was not to be allowed to eat food brought by his children since the police preferred to force him to eat food procured from the vendors. With the accused, Augustine Orji, refusing the police meals for fear of being poisoned, his health has considerably deteriorated. The stringent conditions handed down to the accused has since heightened tension, with the family running helter, skater to secure his release on bail or worst still for the case to go to court so that they can prove their claims beyond reasonable doubts. 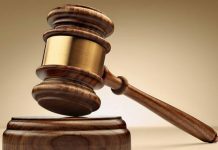 A succor came their way when the Deputy Commissioner of Police eventually intervened on their behalf and insisted that the case be taken to an Nkwerre Chief Magistrate Court on Thursday October 26, 2017. 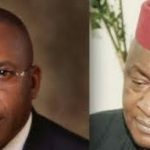 At press time, it was confirmed that the accused was brought before a Chief Magistrate court at Nkwerre, unfortunately, the magistrate did not sit. 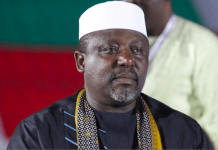 When contacted earlier, the Imo State Commissioner of Police, Chris Ezike feigned ignorance of the development. 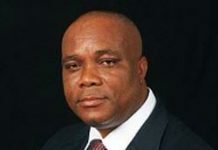 He denied knowledge of any such arrest or detention of Mr. Augustine Orji over a community land dispute, but promised to get in touch with the CID section of his command that usually handles such issues. 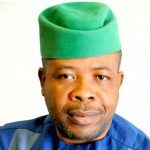 It took the PPRO, Andrew Enwerem to explain to our reporter that Mr. Augustine Orji is being charged for fraud and obtaining money through false pretence and not land dispute. He was silent on the pressure allegedly mounted on the accused to refund the cost of selling the land. The lawyer who appeared on behalf of the accused, Barr. 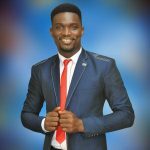 Chima Obinna expressed shock and total disappointment that police could delve into a civil matter involving land dispute for which they detained a law abiding citizen for days without charging him to court. He stated further that should anything untoward happen to the accused, he would hold the police responsible. 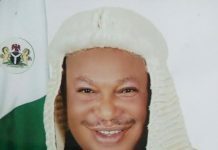 Similarly, a Human Rights Activist, in the state, Citizen Samuelson Iwuoha, in a text message to the commissioner of police, Chris Ezike, which copy he also forwarded to our reporter drew his attention to the continued detention of Augustine Orji over a land dispute, for over four days. 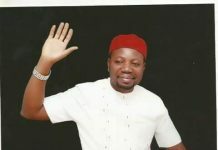 He added that all efforts to effect release of the accused on bail had proved abortive and appealed on behalf of other human rights groups that the proper thing be done otherwise they will be forced to expose the traditional ruler and his police collaborators for trying to frustrate a law abiding citizen, and restricting him from exercising his freedom. 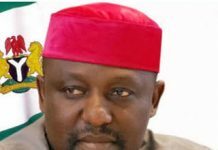 Imo State Police Command had recently come to public scrutiny following similar draconian dispositions, and their inclinations or fond of intimidating law abiding citizens once money allegedly exchanges hands. They are ready to go to the extremes. 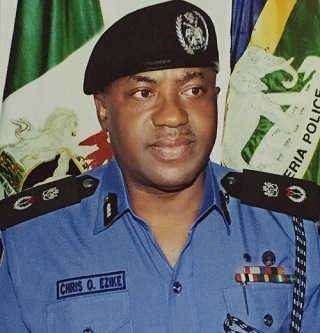 For instance, in 2015, the police under Taiwo Lakanu, the then Commissioner of Police at the promptings of a certain government appointee, had in a “gestapo like manner”, invaded the cooperate office of Community Watchdog Newspapers, Owerri where they arrested and hard-cuffed the Publisher and Editor-in-Chief, Comrade Precious Nwadike and went ahead to throw him into detention. They had by so doing defied all entreaties to act with caution. When Nwadike on reporting back to the police after his bail, the same police framed frivolous charges against the Publisher on behalf of a mere government appointee. 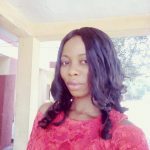 In another development, the police once stormed the Ikenegbu extension home of Citizen Samuelson Iwuoha and arrested him and the wife and clamped them in custody for several weeks before framing spurious charges of murder against the couple. 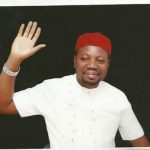 For over six months prior to 2015 general elections, the social crusader was in prison custody until the judgment discharged and acquitted them for want of evidence, and the inability of the police to prove the allegation.